When I heard about this, this morning… I thought I was dreaming or had been transported into an alternate universe. 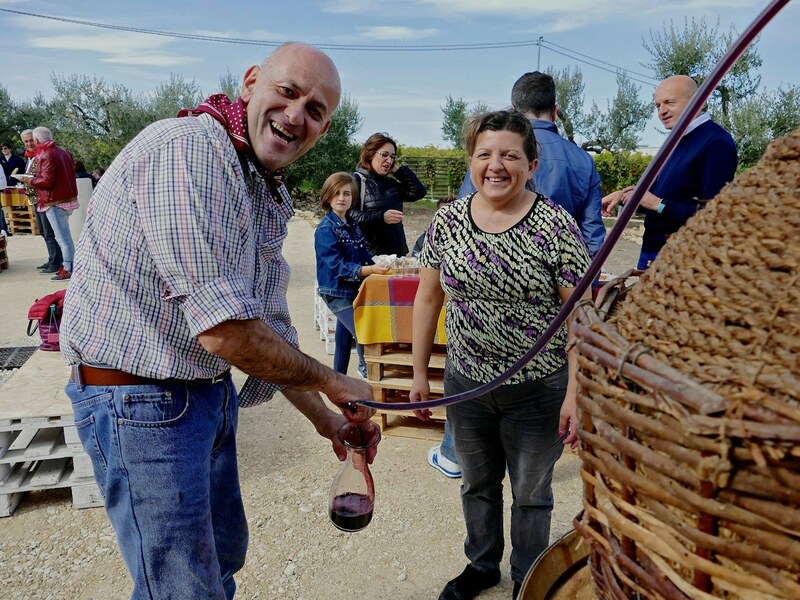 In the Abruzzo region near Rome, a fountain flowing with free red wine has been installed on the Cammino di San Tommaso route where thousands of traveling locals and tourists find their way from Rome to Ortona. These travelers are able to bask in the not only free, but endless stream of wine. It really can’t get any better than that. The genius behind this grand idea is the Dora Sarchese winery who announced the new fountain on their Facebook page. It is there that they have also shared how the wine is added to the fountain and the method of dispensing. They teamed up with a nonprofit organization, Cammino di San Tommaso, whose goal is meant to distribute locally produced wine to the masses. The idea was inspired by a number of similar fountains previously created for Venice’s annual carnival and Spain’s fountain located on the Camino de Santiago route. The winery also wanted to incorporate the fountain as a way of welcoming those arriving, and possibly, saying goodbye to those departing. I’m booking my plane ticket, anyone else?